The short course season has just ended, and now it’s time for everybody to get ready for long course. For those of you who aren’t aware of the differences… well they’re huge. The best way to get a sense of the difference is to watch a younger, less experienced swimmer swim their first Long Course length of the season. They start out the length full of energy, then around halfway down the pool the stroke slows down. They might look around a bit. As the length goes on the stroke continues to slow down and a few stroke flaws may creep in. And when they finally touch, they look around and think Wow. That’s a long way. Obviously the pool is longer – twice as long in fact. But if you think the swimmer just has to swim twice as far, you’d be wrong. In fact good swimmers end up swimming almost 3x farther depending on how good they are at turns and underwater kicking. I’ll explain. In a 25m pool a reasonably advanced swimmer will dive or push off and spend roughly 10m underwater, and then surface and swim for the remaining 15 metres. In a 50 m pool however, they still only spend 10m underwater, but then surface and swim for the remaining 40 metres. This is very important because swimming on the surface is the slowest and most tiring part of the race. So if swimming is the slowest part of the race, and we’re doing more of it than before, then race times get slower. To make matters worse, turns allow the swimming muscles to rest, and so with fewer turns even the swimming portion of the race gets slower as the swimmer fatigues. Studies have actually shown that swimming a race in a 50m pool results in higher heart rates and higher blood lactate levels, as well as shorter stroke length and slower swim velocities. So there is no question, swimming in a Long Course pool is harder, and results in slower times. Since we, like most swim teams in Canada, train exclusively in a SC pool, we’ll have to change up both our physical and mental preparation. With so much more swimming, and so much less reliance on turns, there are a few things we will be doing differently to prepare for the LC season. Repeat distances will change. Instead of doing 50 m repeats, we may switch some to 62.5 m or 75 m. This prepares the upper body for the extra stress put on it. We add No Touch Turns [NTT]. NTTs involve turning just before the end of the pool so that the feet don’t touch the wall. The idea is to get the swimmers back swimming as quickly as possible, simulating a LC pool. I should explain that last one. 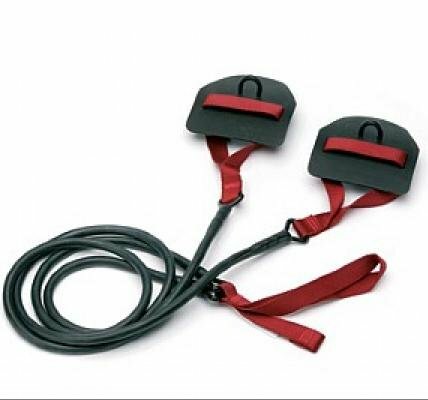 Our seniors use swim cords, which are just stretchy tubing with paddles on the end. I prefer StretchCordz, as they stretch out to 10 or more feet, allowing a solid resistance for the whole stroke. Our race cord sets involve 2 phases, repeated as required. Phase 1 simulates the dive or turn. The swimmer takes one butterfly pull so that both arms are behind the body with the cords touching the underside of the shoulders, and then holding that pose for ten seconds while not breathing. Phase 2 simulates the swimming portion of the race. So once ten seconds has passed, the swimmer takes a certain number of butterfly or freestyle pulls with the paddles, pulling and recovering under the body. This sequence is repeated as needed to simulate the desired distance. Eg. Do this twice to simulate two lengths, four times for four lengths, etc. For our SC race cord sets, Phase 2 consists of ten butterfly or eight full freestyle strokes. But for our LC sets, Phases 2 has the swimmer doing 25 butterfly or 20 full freestyle strokes. Its much harder to do the LC set, and so the swimmers often have to move ahead slightly to reduce the tension on the cords. Proper physical preparation will go a long way towards preparing the mind. But there are other things coaches can do to prepare swimmers. The first one is to ensure that swimmers do not compare SC times to LC times, and they shouldn’t even compare converted SC times (SC times plus 2.0-2.5%) to LC times. We basically have to treat them as entirely different events. Sure the distance may be the same, but the event is completely different. Another trick is to only go into LC meets during LC season, even though there are precious few LC pools around here. Its easier to handle LC if you commit yourself to it completely. As much as some swimmers may initially dislike long course, most experienced swimmers prefer it. The reason is that it lets them swim!. The introduction of underwater kicking has changed the nature of the sport, with swimming representing less than half of the duration of high level SC races. Underwater kicking may be fast, but it sure isn’t exciting to spectators, and it sure isn’t swimming. Swimming long course lets the swimming take centre stage again. And that’s how swimming was meant to be. I especially like your final comments, as I’ve always thought of the long course pool as the “swimmers’ pool”. I agree completely, Polly. Even now when I’m not as ‘capable’ of handling long course, I still much prefer it. 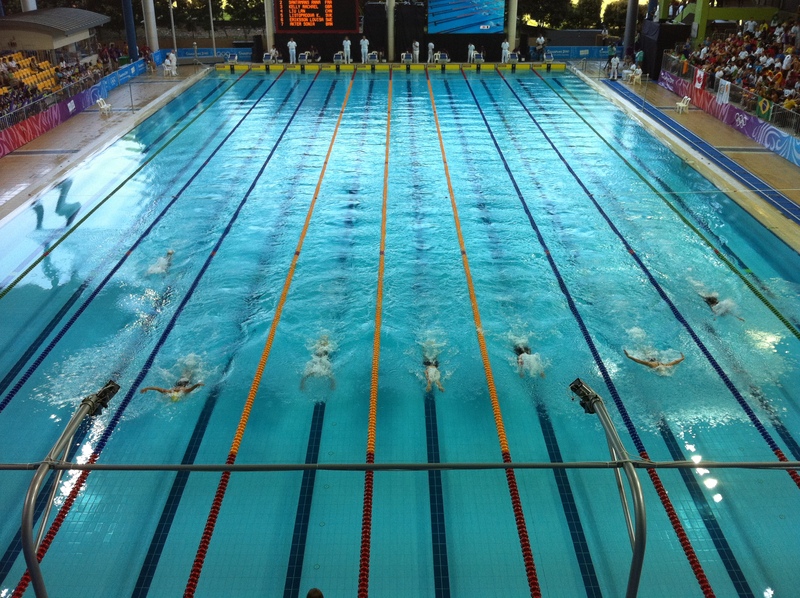 If only we had more long course pools in Canada….